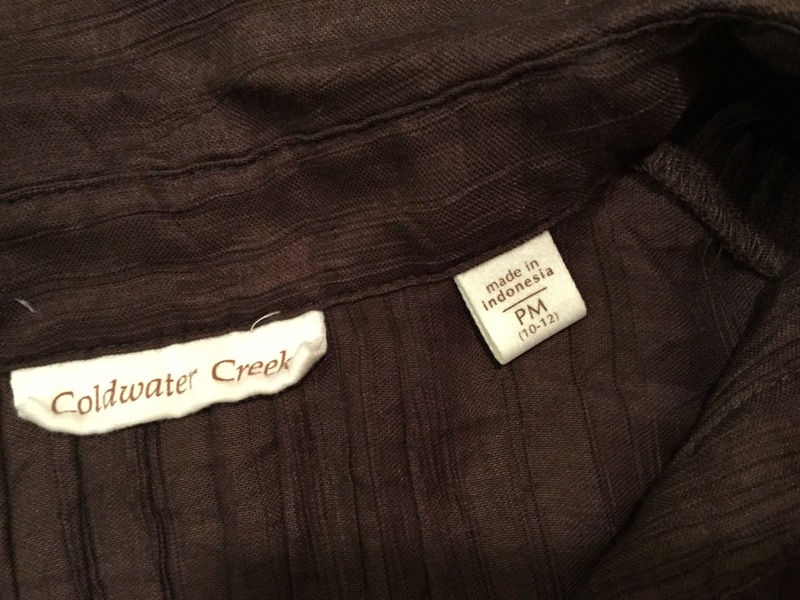 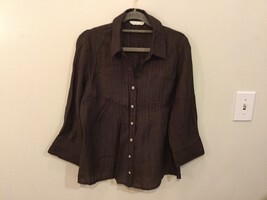 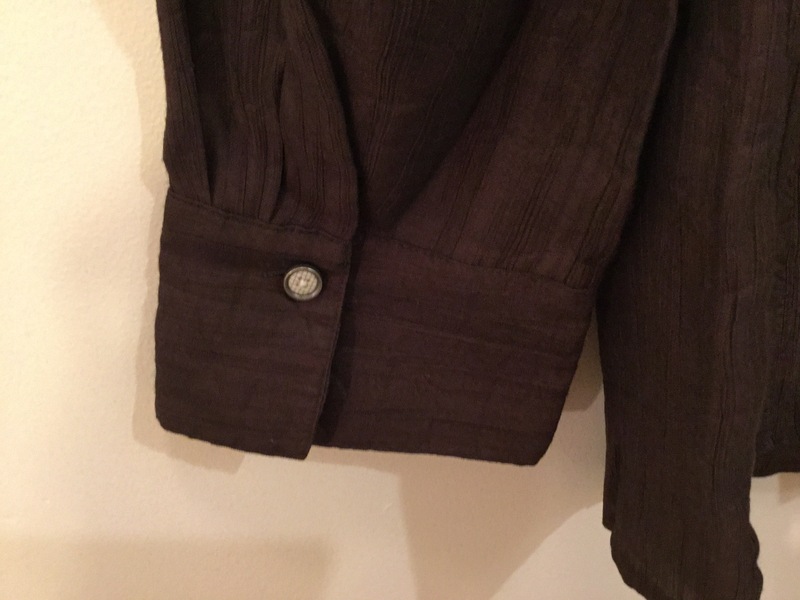 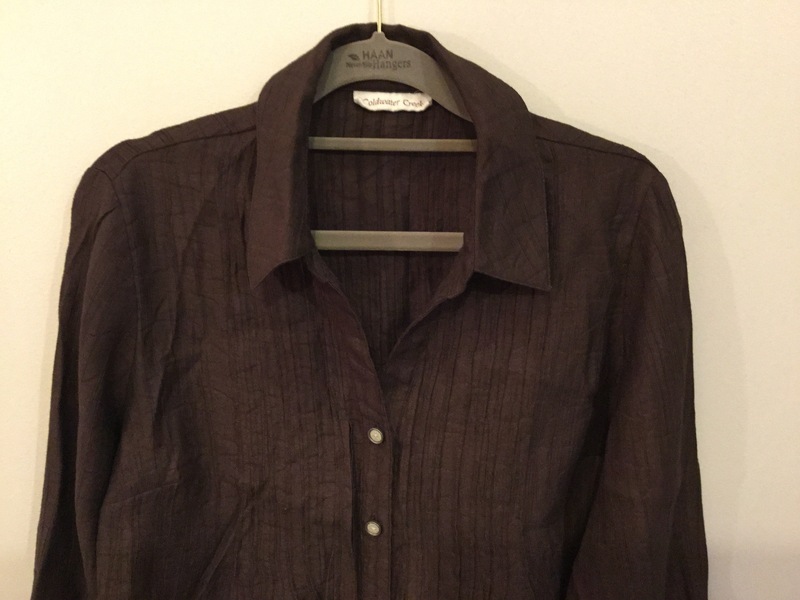 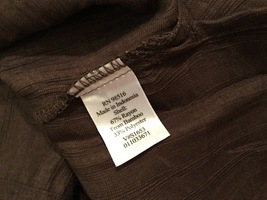 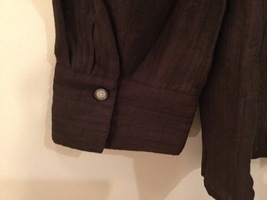 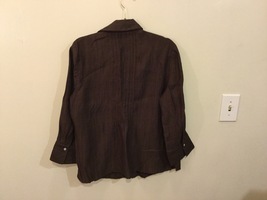 Coldwater Creek Petite Brown 3/4 Sleeve Blouse Buttons Up, size M petite (10-12). 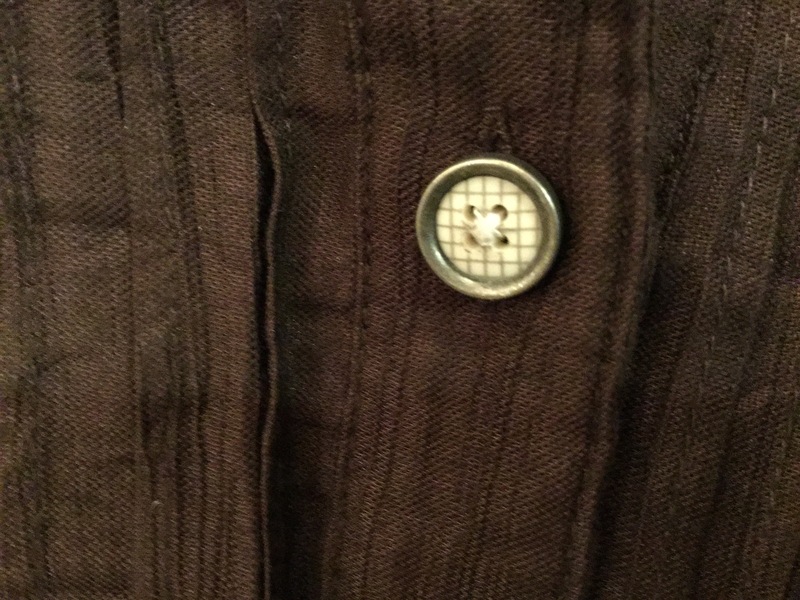 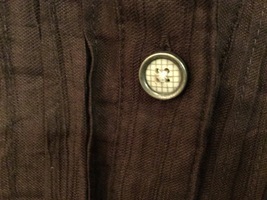 Buttons are silver with white center and gray cross line. 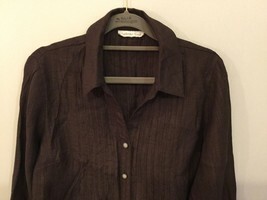 Vertical lines down shirt in fabric.